CarGurus has 26,480 nationwide Focus listings starting at $999. 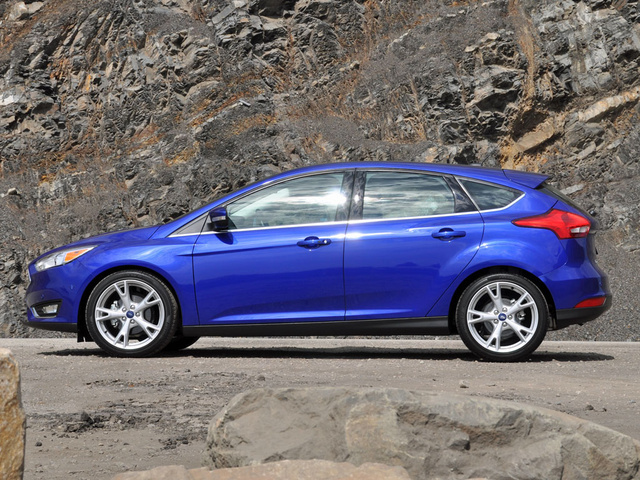 European influence is on clear display when it comes to the 2015 Ford Focus’s ride and handling qualities. Engineered in Europe, built in Michigan, and available in a variety of configurations, the refreshed 2015 Ford Focus is a more sophisticated automobile than many people likely expect. Forget what you think you know about this car based on your last vacation rental, because rental cars are often thrashed and poorly maintained. Instead, think of the Ford Focus as America’s version of the Volkswagen Golf. Volkswagen’s redesigned Golf is winning rave reviews, and deservedly so. Enjoyable to drive, comfortable, and practical, the Golf is available in a couple of body styles, in a performance-oriented state of tune, and as an electric car. Guess what? So is the 2015 Ford Focus. Like the Golf, the Focus was designed and engineered in Europe. Unlike the Golf, the Focus is built in the U.S.A.
Granted, the Focus is not quite as roomy or refined as the all-new Golf. It is, however, freshened up this year, with styling changes that make it look more grown up than before. Plus, the Focus displays greater visual flair than does its rather dowdy doppelganger from VW. Available in 4-door sedan and 5-door hatchback body styles, the 2015 Focus comes in S, SE, Titanium, ST, and Electric versions. The base S trim is offered only for sedans, and starts at just over $18,000. Most people choose the Focus SE, beginning at $19,335 and offering access to a broader array of options. The upscale Titanium trim costs just over $24,000. For maximum performance, choose the Focus ST. It is available only as a 5-door hatchback, aimed at Volkswagen’s legendary GTI and priced from $25,245. In 2016, the Focus RS debuts, a more powerful, all-wheel-drive version designed to tackle the Golf R.
Alternatively, a Ford Focus Electric is available, and though the starting price is just over $30,000, after you apply various federal and state incentives, you could get one for about the same price as a Focus SE. Ford also offers enticing lease rates for the Focus Electric, which is expected to travel about 75 miles on each full battery charge. Here, we’re talking about the Focus Titanium in 5-door hatchback format. It stickers for $24,545, and after adding a set of optional 18-inch aluminum wheels ($625), a Technology Package ($795 – blind-spot warning system with rear cross-traffic alert, a lane-departure warning and lane-keeping assist system, and automatic high-beam headlights), an Active Park Assist system ($395), and a navigation system ($795), the total for my Performance Blue test car came to $27,155. Yeah, that’s a ton of cash for a mainstream compact car. With younger people expecting more technology in what are traditionally inexpensive cars, automakers are providing it as long as the customer is willing to pay for it. The result is that small cars can get expensive, and fast. My test vehicle had all of the technology upgrades so that reviewers like me can test the systems and report back to you. Personally, I would get the wheel/tire upgrade and call it good. They make the car look better, and they make the car handle better. Stick with Titanium trim if you want the classy silver grille trim, sporty fog lights, chrome window accents, and unique wheel designs. Other exclusives to the Focus Titanium include keyless access with push-button engine start, a keyless entry pad, remote engine start, one-touch operation of all four windows, and hill-start assist, designed to prevent the car from rolling backward on a hill when you’re moving your foot from the brake pedal to the accelerator pedal. The chrome trim and big wheels give the Focus Titanium an upscale appearance in keeping with its lofty loaded price tag. This is also a more expressive design than what Volkswagen bestows upon the Golf, despite the fact that Ford has toned things down for 2015 with a restyled front end and smaller taillights than last year’s Focus. Inside, Ford also delivers more style than does Volkswagen, and in a pleasing, driver-centric, wrap-around cockpit. However, the result is a busy appearance. Particularly galling is the instrumentation, which is difficult to quickly reference because of small displays and excess stylization. 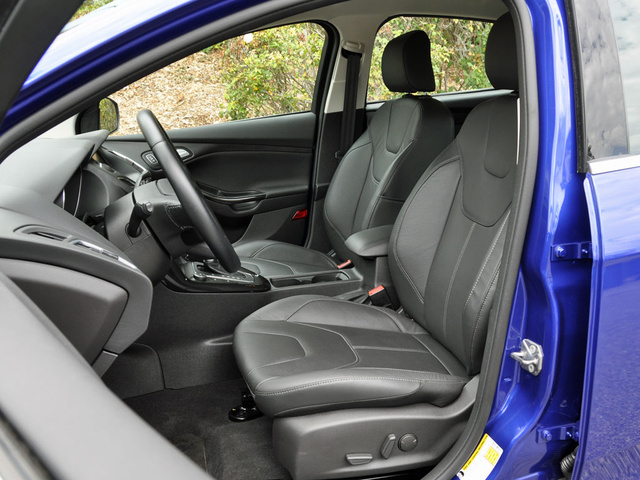 Ford also needs to do a better job in terms of refining the less expensive bits and pieces of the Focus’s cabin. Unless you buy the Focus ST or the Focus Electric, you’re going to get a 2.0-liter 4-cylinder engine generating 160 horsepower. It produces just enough acceleration, displays just enough refinement, and provides just good enough fuel economy to make it acceptable. You’re not going to be impressed, but you’re not going to be disappointed. As far as fuel economy is concerned, I got 30.7 mpg on my test loop, exceeding the car’s EPA combined-driving estimate of 30 mpg. A 6-speed manual gearbox is standard, with a 6-speed automated manual transmission optional. My test car had the optional transmission, called PowerShift, which has been available in the Focus since the car’s last complete redesign in 2012, and which has since proven to be a significant contributor to reduced owner satisfaction with the Focus. When PowerShift first debuted, it was pretty awful, exhibiting delayed response, harsh shifting, indecisiveness, and other exaggerated attributes typical of automated manual, or dual-clutch, transmissions. I recently rented a thrashed 2013 Focus in Hawaii, a car with almost 30,000 miles on it, and I thought the transmission was going to fall right out of that car. This brand-new 2015 Focus, however, has a PowerShift transmission that operates in nearly flawless fashion. True, this test car is owned and maintained by Ford and not Thrifty, and it is new rather than used and abused. It does, however, reflect a steady program of improvement and refinement and should no longer inspire ire in Focus owners. Perhaps the relevant observations are these: PowerShift is better than ever, and if you wish for it to remain that way, take good care of your Focus. Paddle shifters would be a nice addition to PowerShift, which currently supplies a Sport driving mode and a ridiculous toggle switch on the side of the gear selector for manually choosing gear ratios. With paddle shifters and downshift rev-matching technology, the driver could better maximize the engine’s potential while better enjoying what are undeniably entertaining driving dynamics. European influence is on clear display when it comes to this car’s ride and handling qualities. From the way Ford tunes the electric steering, which really ought to serve as a model for the entire industry, to how the brakes successfully resisted fade while slamming the Focus down Mulholland Highway in 90-degree temperatures, this affordable Ford is exceptionally entertaining to drive. It is also begging for more power. But then, that’s the whole point of the racy Focus ST, isn’t it? Small cars have cheap plastic inside them, a necessity designed to keep them as affordable as is possible. While Ford has done an admirable job of enhancing the Focus Titanium with leather seats, soft-touch dashboard and front door panel materials, and quality switchgear, the car’s modest origins are nevertheless evident in the cabin’s detailing. This is not necessarily a criticism; consider it an observation. I like the way the controls are laid out, especially the innovative stereo volume knob and tuning buttons. Some secondary controls are hard to see, like the adjustment for interior lighting levels, but the features you need to find on a regular basis are located in logical places and operate intuitively. Ford does, however, need to rework the instrument cluster. Four gauges and a driver information display are crammed into a small binnacle, the available real estate consumed by a busy, unnecessarily stylized treatment that forces everything to be smaller and more difficult to reference at a glance. Seat comfort is excellent, front and rear. This is a snug car, though, and people taller than 6 feet will want to carefully consider whether the Focus represents a good choice over the long haul. I’m 6 feet even, weigh 250 pounds, and have a 33-inch pants inseam, and I had no trouble dialing in a perfect driving position. I even fit behind the driver’s seat when it was adjusted to my preference, enjoying good thigh support, my knees and shins flush against the soft front seatback, but not uncomfortably so. Pop the hatch to reveal what Ford claims is 23.8 cubic feet of cargo space. I’m skeptical, but I suppose that if you don’t have the Sony premium audio system’s subwoofer enclosure, and you remove the cargo cover, and you ditch my test car’s 16-inch spare tire, then maybe it amounts to that much space. Practically speaking, count on cramming a couple of full-size suitcases, a couple of duffel bags, and maybe a backpack or two into this car. Kick the rear-seat passengers out, and the space expands to a claimed 44.8 cubic feet. 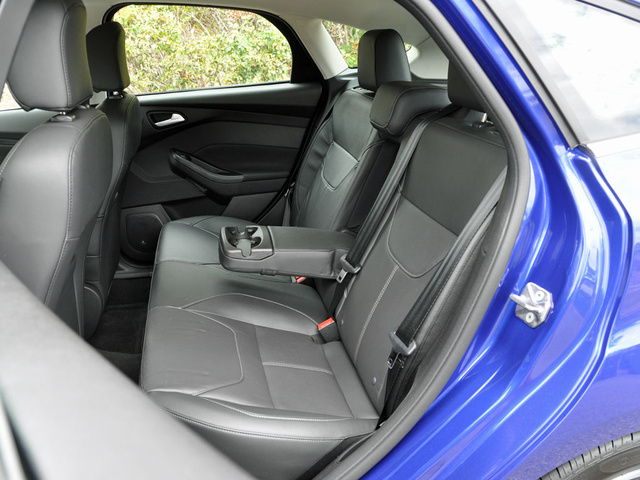 Folding the rear seat is a genuine hassle, though, because unless the front seats are moved well forward, you need to remove the rear head restraints. To do that, the seat needs to be partially folded down in order to create enough clearance between the head restraint and the car’s roof. Then, while you’re holding it in place, the rear headrests pop off, and the seat flops down flat. In selected models, Ford is introducing its new Sync 3 infotainment system for the 2016 model year, which is designed to look and work more like a smartphone or a tablet computer. 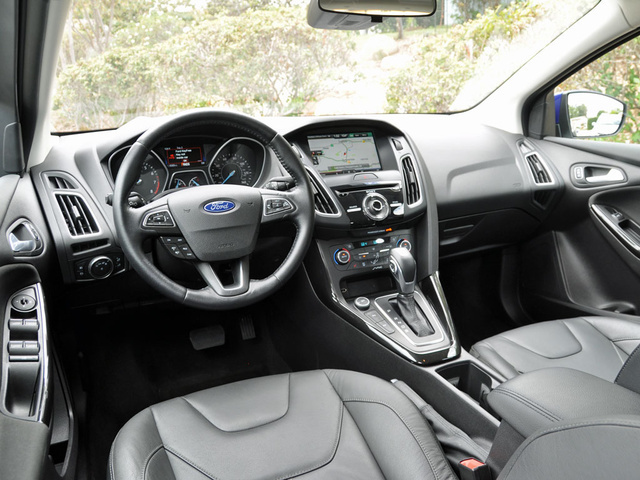 My Focus, a 2015 model-year vehicle, made do with the automaker’s MyFord Touch technology. 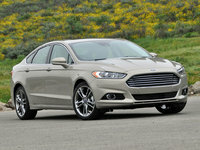 Like the PowerShift transmission, MyFord Touch has proven to be a source of dissatisfaction for Focus owners. Ford has, however, steadily improved the system over time, and today it works well unless you’re expecting gesture control, natural voice recognition, mobile Wi-Fi connectivity, or modern graphics. Pairing an iPhone 6 to the system was easy, and making/receiving calls and streaming music were no problem at all. On date night, my wife and I wanted to try a new restaurant, and with nothing more than a city name and the name of the establishment, the MyFord Touch navigation system programmed the destination via voice prompts. Nevertheless, it is clear that the time has come for Sync 3 to replace MyFord Touch. My test car also had Active Park Assist, which increased the car’s price by just $395. This technology is designed to steer the Focus into a parallel parking space while the driver operates the pedals and transmission. Personally, I don’t have much use for this type of technology, and I find that in the real world on a busy street, traffic stacks up behind you, making it harder to use the system. I much prefer to whip a car into a space on my own. With that said, I sure did appreciate the front and rear parking sensors that come with Active Park Assist. For 2015, Ford offers more safety technologies for the Focus, but buyers still cannot get a forward-collision warning system or an automatic emergency braking system for this car, two features that have been shown to dramatically reduce the likelihood of getting into a car accident. What is new for 2015 is a blind-spot warning system with rear cross-traffic alert technology. With warning lights on the side mirrors, the blind-spot warning system alerts the driver when vehicles are in the lane adjacent to the Focus, while rear cross-traffic alert notifies the driver when vehicles are approaching from either side as the car reverses out of a blind parking space or driveway. Both systems are useful. I’m less fond of the new lane-departure warning and lane-keeping assist systems. Fortunately, they work in relatively unobtrusive fashion, and the driver can program sensitivity and warning levels through the driver information system, so I wasn’t inspired to shut them off. These technologies join a standard reversing camera and Ford’s programmable MyKey technology. With MyKey, parents of teenage drivers can set vehicle speed limits and warnings, program an artificially low maximum stereo volume, and make it impossible to listen to the stereo if the seat belts are not in use. MyKey lacks curfew and boundary alerts, though, features offered in some competing models. In terms of meeting federal government crash-test standards, the Focus does a good job of protecting occupants, earning an overall rating of 5 stars. 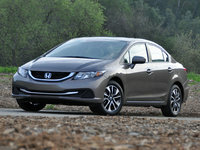 The Insurance Institute for Highway Safety (IIHS) provides favorable ratings to the Focus, too, though it says they apply only to the 4-door sedan and not the 5-door hatchback. Also, note that if a collision does occur, and if a smartphone is paired to the car’s Sync Bluetooth connection and is aboard the vehicle at the time of the crash, and if the driver has activated the free service, an automatic collision notification system can alert authorities and get help to the scene. Some competitors charge monthly subscription fees for similar service. When you’re researching the Ford Focus, you might find that it demonstrates an unimpressive track record with regard to reliability. However, dig into the data, and you’ll discover that aside from complaints about the PowerShift transmission and the MyFord Touch technology, the car is largely competitive on this front. Given the continual program of improvements to both the transmission and the infotainment system, perhaps the negative reliability predictions are overblown. Ownership costs are expected to be low, helped by good gas mileage and regularly available discounts that can sharply reduce the purchase price. These factors help to offset an average depreciation rating. While I believe that a new, 2015 Focus will likely serve its owner well, the data certainly indicates cause for concern. Perhaps the best course of action would be to consider an extended warranty of some kind, but only if the available incentives and rebates clearly offset the added cost. 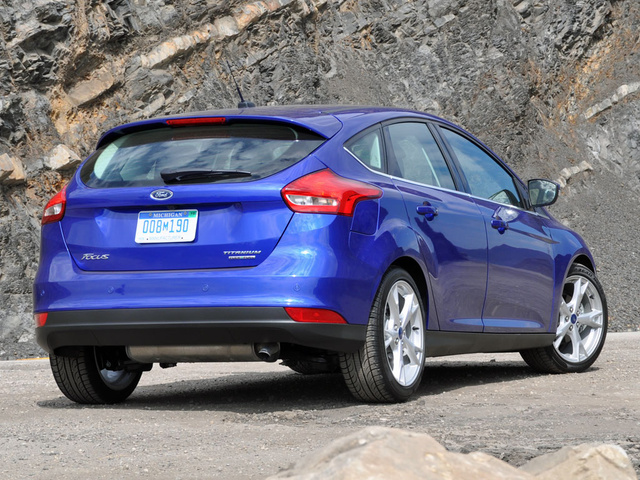 What's your take on the 2015 Ford Focus? DOT1080 We purchased the 2014 Focus. 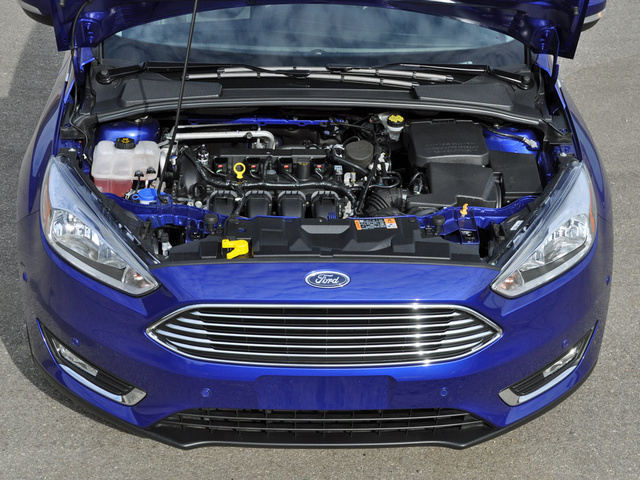 We saw the pictures of the 2015 & felt it was to much like the Fusion & the Fiesta. Liked the aggressive & independent look of the of the 2014..
Users ranked 2015 Ford Focus against other cars which they drove/owned. Each ranking was based on 9 categories. Here is the summary of top rankings. 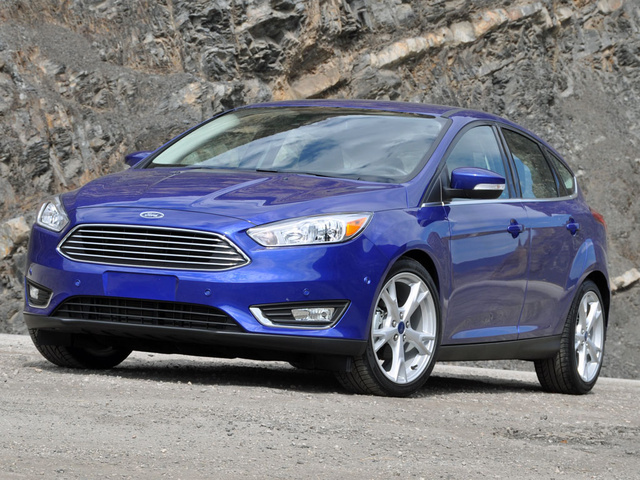 Have you driven a 2015 Ford Focus? I’m wondering if I can bypass the immobilizer and chip to start my car. It has recently been stolen and recovered by the RCMP. I can not afford to fix it and need to start it.